How Do We Crate Artwork for Long-Distance Transportation? Do you really need to crate artwork for transportation? Before to answer this question, let’s first find out what type of artwork you are going to transport and where you need it to be delivered. 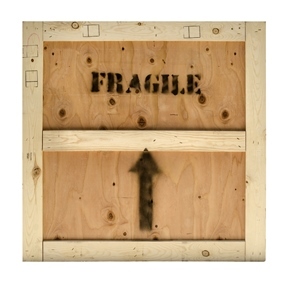 When it comes to the local relocation of your art collection, in most cases, proper packaging is enough. The same applies to small and mid-sized items made of sturdy materials like stainless steel and bronze. However, if the transported objects are very fragile and require the utmost protection in transit, or you need to ship fine art long-distance, then to crate artwork for transportation is the only right decision. Plus, custom crating is also necessary for long-term storage of delicate items that are sensitive to temperature fluctuations and/or humidity. Whatever the reason, you have come to the right place as Fine Art Shippers offers high-quality yet affordable custom crating services tailored to meet the requirements of art and antiques. Fine Art Shippers has been shipping fine art for many years, and we have developed a wealth of experience in crating art for its safe and secure transportation to anywhere in the world. For today, we can crate artwork of any kind, from large paintings to odd-shaped sculptures and heavy statues, which allows us to work with many reputable galleries and auction houses throughout the United States. Our custom wooden crates are built in our own warehouses by skilled carpenters with years of furniture manufacturing experience. Moreover, we always crate artwork with its safety in mind, utilizing the most advanced materials and methods that are appropriate for both the client’s requirements and the object itself. Thereby, whether you need to ship fine art across the country or across the globe, Fine Art Shippers is the ideal place to come for help. Our custom wooden crates are your best chance to get your valuable possessions in their perfect condition. Just let us know whether you need to crate artwork for one-way export or multiple destinations, and we will ensure it is properly protected throughout the entire journey. Besides, we can complete this job within a single day, which makes Fine Art Shippers an ideal choice for any urgent shipping needs. Call our team now or simply request a free quote right from this website! We are always happy to help!